Eight years after social activist Anna Hazare launched his movement to seek a Lokpal, India's first Lokpal was approved by the President Tuesday. New Delhi: The first woman to head a paramilitary force in India, and an IAS officer once invited to the US by former President Barack Obama for an exclusive meeting. A former IAS officer spearheading the launch of Metro trains in Gujarat, and a high court chief justice who loves to play golf. Eight years after social activist Anna Hazare launched his movement to seek a Lokpal, or anti-corruption ombudsman, and five years after a law to this effect was notified, India’s first Lokpal was approved by the President Tuesday. Apart from the chairman, the panel has eight members, four judicial and non-judicial. Former Supreme Court judge Pinaki Chandra Ghose has been appointed as the first Lokpal. A member of the National Human Rights Commission (NHRC), he has also served as chief justice of the Andhra Pradesh High Court. The eight colleagues who will aid his corruption crackdown are Justice Dilip B. Bhosale, Justice Pradip Kumar Mohanty, Justice Abhilasha Kumari and Justice Ajay Kumar Tripathi, besides former civil servants Dinesh Kumar Jain, Archana Ramasundaram, Mahender Singh, and Indrajeet Prasad Gautam. As they get set to assume charge, ThePrint brings you a closer look at the men and women India hopes will help cut corruption in public life. Justice Abhilasha Kumari is a native of Himachal Pradesh and daughter of former chief minister Virbhadra Singh. The Delhi University and Himachal Pradesh University alumnus joined the bar in 1984. She practised in the Himachal Pradesh High Court as the additional advocate general till 2005, when she was elevated as a judge in the Gujarat High Court. In 2018, she was promoted as chief justice of the Manipur High Court for 13 days. 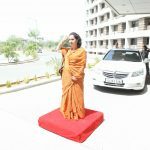 In May of that year, she took charge as chairperson of the Gujarat Human Rights Commission, a position she still holds. Some of the more controversial cases of her career include the 2004 Ishrat Jahan encounter case. Along with another judge, Kumari heard a petition seeking a CBI probe in the case, and the division bench constituted an SIT in the case. It monitored the probe before handing over the investigation to the CBI. 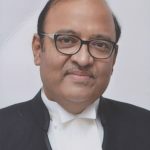 Justice Ajay Kumar Tripathi is the Chief Justice of the Chhattisgarh High Court, and has earlier served as a permanent judge in the Patna High Court. Justice Kumar graduated from Delhi University’s prestigious Shri Ram College of Commerce with an economics degree, and proceeded to secure a law degree from the Campus Law Centre, Delhi. He enrolled as a lawyer in 1981, starting his career at the Patna High Court. Over his tenure, he has served as standing counsel for the Income Tax Department, as well as special counsel for the CBI and the Comptroller and Auditor General of India. He has also represented various public sector undertakings such as BSNL, Bharat Petroleum, Indian Oil Corporation, Hindustan Petroleum, and Inland Waterways Authority of India etc. in high-profile cases. Justice Tripathi has also taken a keen interest in furthering legal education — he played a pivotal role in setting up the Chanakya National Law University (CNLU) in Patna, and is a member of the Academic Council for National Law School of India University (NLSIU), Bangalore. In his free time, Justice Tripathi is known to enjoy playing golf. Justice P.K. Mohanty hails from a Cuttack-based family of jurists. His father, the late Justice Jugal Kishore Mohanty, served as chief justice of Sikkim High Court and a judge in the Orissa High Court. Justice Rajkishore Das of the Orissa High Court was his maternal grandfather. After getting an LLB from M.S. Law College, Cuttack, Justice P.K. Mohanty joined the Bar in 1978. 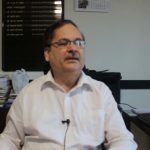 His career as a lawyer included a stint as an additional government advocate in the Orissa High Court, where he made his judicial debut as additional judge in 2002. He was made a permanent judge of the high court in two years. Between 2012 and 2016, he was appointed as the acting chief justice of the Orissa High Court five times. He currently serves as Chief Justice of the Jharkhand High Court, a post he has held since 2017. 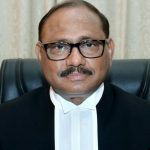 After a 38-year career in the judiciary, Justice Dilip Babasaheb Bhosale retired as the chief justice of Allahabad High Court in October 2018. Bhosale, who comes from a noted Maharashtrian family, obtained his law degree from Government College, Mumbai, in 1980. His father Babasaheb Bhosale was Maharashtra chief minister from 1982-83. The judge’s uncle, Shivajirao, was the vice-chancellor of Marathwada University in Aurangabad. In January 2001, Bhosale was elevated as a judge of the Bombay High Court. Two years later, he was transferred to the Karnataka High Court. 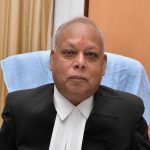 He joined the Hyderabad high court in 2014 as the most-senior judge, before moving to the Allahabad High Court in 2016. Bhosale served as the Chief Justice of the Allahabad High Court for two years, a stint, according to his peers, that was fairly controversy-free. His notable judgments as chief justice include a ruling — delivered as part of a two-judge bench — that the Election Commission had the powers to remove duplicate and fake names from the electoral rolls till the last date of filing of nominations. I.P. Gautam, now retired, joined the IAS in 1986 as a member of the Gujarat cadre. Born in Uttar Pradesh, his career as a civil servant began with a stint as an additional collector starting 1990. By the time of his retirement, he has been appointed to the post of principal secretary for urban development and housing in Gujarat. Gautam also served as Ahmedabad municipal commissioner from 16 June 2006 to 12 July 2011, making him the longest-serving incumbent. 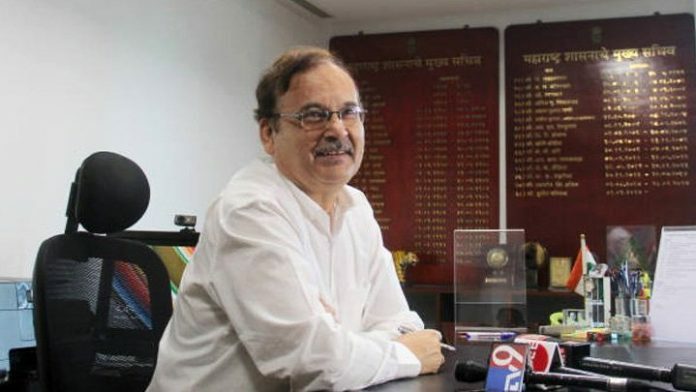 His time in the IAS was marked by improvements in infrastructure and heritage conservation, with The Times of India once noting that Gautam is “an exceptional bureaucrat who did a lot for Ahmedabad”. In 2018, Gautam earned a PhD in ‘Urban Planning and Urban Transport’ from CEPT University, Gujarat. He currently serves as managing director of the Gujarat Metro Rail Corporation, presiding over the Ahmedabad-Gandhinagar link. He is said to be close to PM Narendra Modi, who is a former Gujarat chief minister. D.K. Jain, a 1983-batch Indian Administrative Service (IAS) officer, was handpicked by Maharashtra Chief Minister Devendra Fadnavis to take over the state’s administrative reins as chief secretary, superseding the state’s two most-senior civil servants in May last year. Even as Jain was set to retire on 31 January, the government granted him a six-month extension to ensure continuity in a year marked with Lok Sabha and assembly elections, and at a time when half of the state is also battling a drought. Born in Rajasthan, the civil servant has an M.Tech in mechanical engineering and an MBA in overseas projects. Beginning in the mid-1990s, Jain spent 10 years on central deputation, barring two short stints in the state. Most notably, he was the programme director of the United Nations Industrial Development Organisation and was invited by former US President Barack Obama to speak about information technology interventions in implementing the Mahatma Gandhi National Rural Employment Guarantee Scheme. Archana Ramasundaram is a 1980-batch Indian Police Service officer who rose through the ranks to become the first ever woman to head a paramilitary force, the Sashastra Seema Bal (SSB). A postgraduate in economics from the University of Rajasthan, Ramasundaram worked as a lecturer in the same university before she joined the IPS. She also holds a Master of Science degree in criminology from the University of Southern California. In her early career, she worked as the superintendent of police (SP) of the Prohibition Enforcement Wing in Vellore zone where she was applauded for her strict action against bootleggers and prohibition offenders. 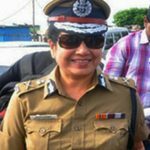 She went on to become the SP of vigilance and anti-corruption at Chennai and was awarded the Police Medal for Meritorious Services in August 1995. The same year, she was promoted to the rank of deputy inspector general (DIG). Four years later, she was selected for deputation to the Central Bureau of Investigation (CBI) in New Delhi, where she served for more than seven years. She was promoted to the rank of joint director in 2002 and awarded the President’s Police Medal for Distinguished Services in 2005. In May 2014, when she was serving the CBI as additional director, she was transferred in the wake of a court order stating that her appointment did not follow due procedure. She was named the SSB chief in 2016. Mahender Singh, a 1981-batch Indian Revenue Service officer, retired as a member of the Central Board of Indirect Taxes and Customs (CBIC) in 2018. Looking after the board’s crucial department of goods and services tax (GST), Singh had the difficult task of making its 1 July 2017 rollout as smooth as possible for both the industry and the department. His colleagues saw him as an efficient officer who held senior positions in some crucial departments like Central Excise Intelligence. However, Singh was unlucky twice in the last stages of his career. Despite being the most senior officer in the cadre, he was not appointed as a member of the Central Board of Excise and Customs (CBEC). According to a former CBEC member, this was because of complaints against Singh regarding his “integrity”. Singh was subsequently cleared of the charges and appointed a member of the CBEC. Eventually, he also lost out in the race to become CBEC chairperson.